Demantoid Garnet is a very rare variety of Garnet from the Ural mountains of Russia. 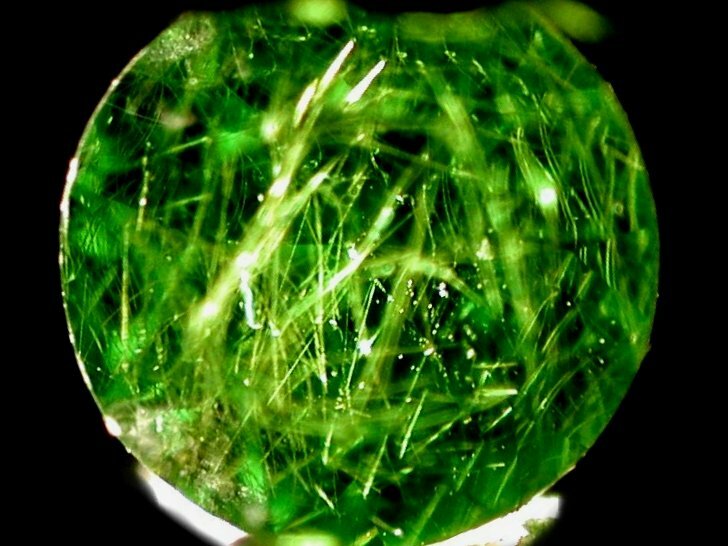 Demantoid Garnet is generally bright green, and exhibits greater brilliance and light dispersion than even a diamond. 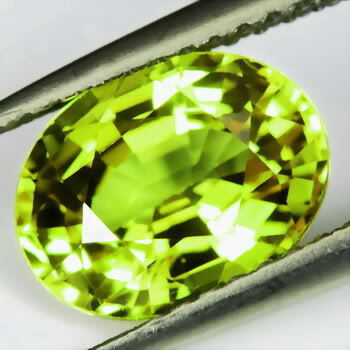 Demantoid Garnet is also known for containing hair-like inclusions that add to its unique beauty. The Gem Collection had some specimens of this unique and beautiful gemstone on display at its 2013 Tallahassee Colored Stone and Jewelry Show.